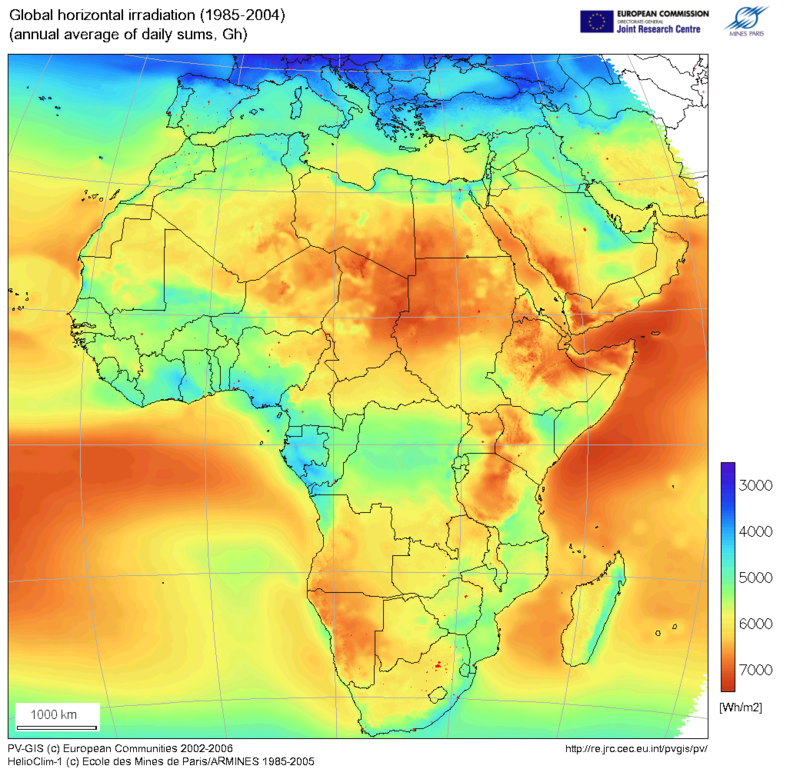 Much of Africa is well exposed to sunlight, but photovoltaic technology is generally too expensive at this time for suitable African applications. Morocco leads with 3 MWe installed capacity, followed by Egypt with 2 MWe and Senegal and South Africa with around 1 MWe each. 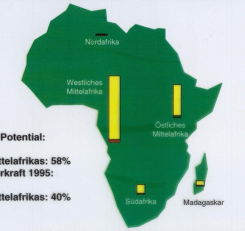 Africa's geothermal resources are concentrated in the Red Sea Valley and the Rift Valley system. Kenya is the principal exploiter of geothermal energy in Africa with 45 MWe and some direct heat use. Ethiopia is the only other African country producing electricity from geothermal heat at this time. Algeria and Tunisia both obtain some direct heat from geothermal sources. 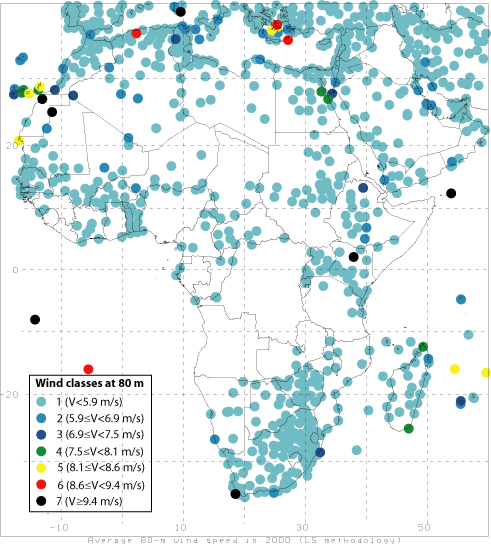 Wind potential in much of Africa is largely unassessed at this time. Egypt is the most advanced country in harnessing wind energy, with over 15 MWe installed capacity. There is undoubtedly much additional potential. Probably the most promising of the other renewable sources is biomass, if it were produced and used in sustainable ways. 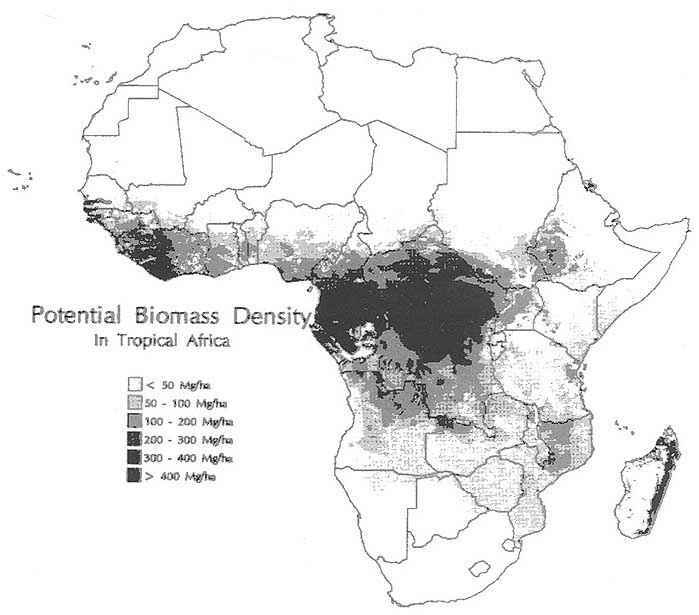 As already noted biomass, including wood, is the major contributor to meeting Africa's energy needs. However, it is used inefficiently and in ways that pollute indoor air and degrade the surrounding environment. Various options, including higher efficiency combustion and gasification, are being developed which would allow these fuels to be used with far greater efficiency and on a decentralised basis.